Sell to Us Price: $483.87 each. 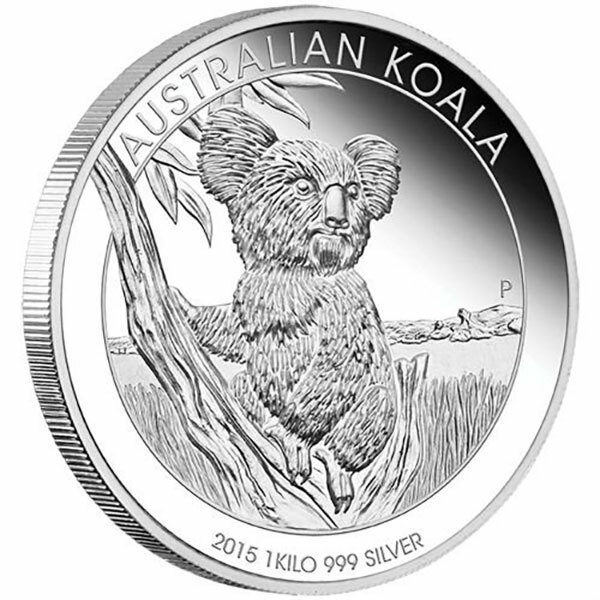 Money Metals Exchange now offers the 1 Kilo silver coins from the Perth Mint. This prestigious Australian government mint is perhaps the most recognized in the world, and has an unmatched reputation for quality, beautifully made Australian coins and bars. For buyers wanting the familiarity and assurance of government-issue legal tender coinage, these Australian mint coins are the way to go! These are by far the largest silver coins for sale at Money Metals Exchange. 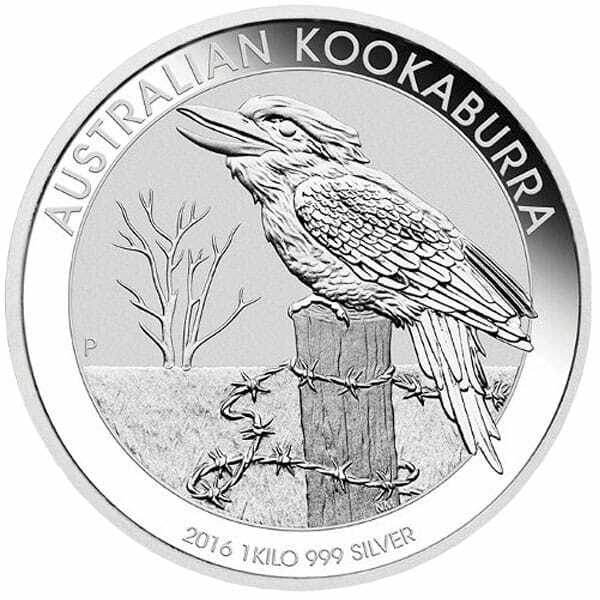 Best of all, these beautiful kilo Australian Silver Kookaburra coins, or silver Koalas, are THE LOWEST PREMIUM, newly minted option on LEGAL TENDER silver coins available! 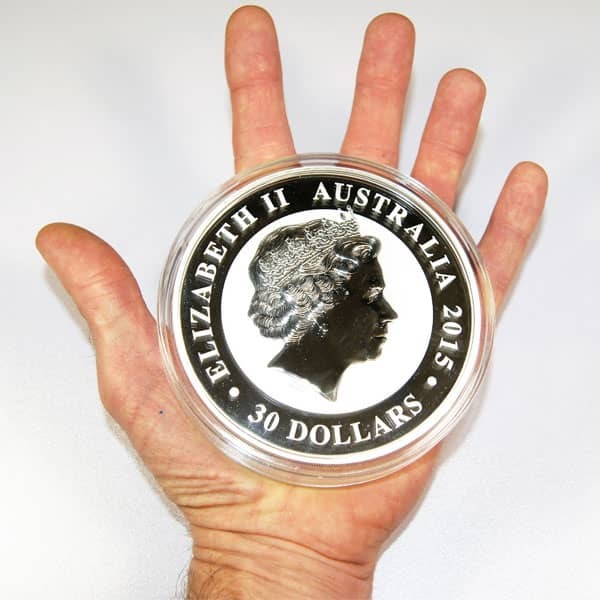 These Perth 1 Kilo Australian silver coins for sale are nearly 4 inches in diameter and over 5/8 of an inch in thickness – like nothing you currently have in your vault. These silver coins cost less due to their large size. 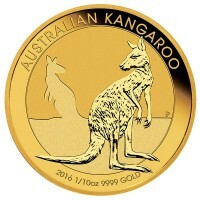 Larger sized bullion possess lower premiums. These coins are minted using .999 fine silver and weigh 32.151 troy ounces each. The detailing and finish on these massive coins is unbelievable. 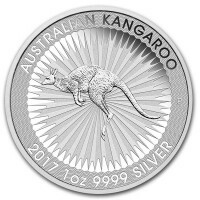 It would be an extremely unique addition for any collector investing in Australian silver coins compared to the typical Silver Kangaroo coin. 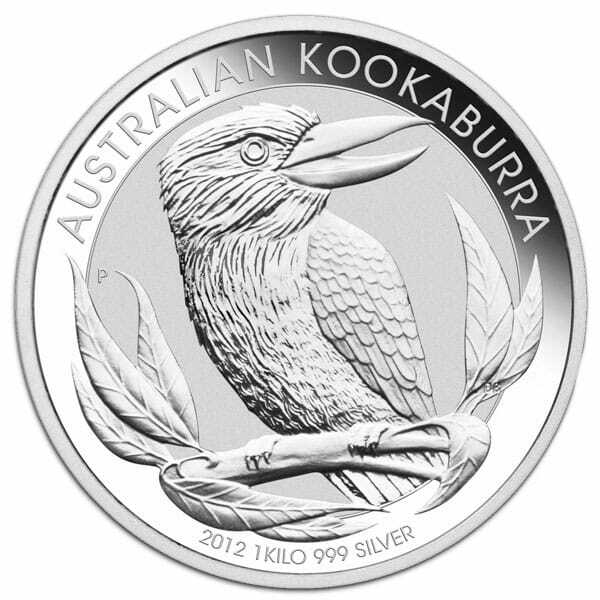 These coins come in different designs, which include Kilo Australian Silver Kookaburras and Silver Koala coins. Other options for when you're looking for larger sizes in silver bullion, are silver bars. Most investors think of silver one ounce bars when it comes investing in this form of bullion, however, silver bars come in larger sizes, like 1,000 ounce silver bars. 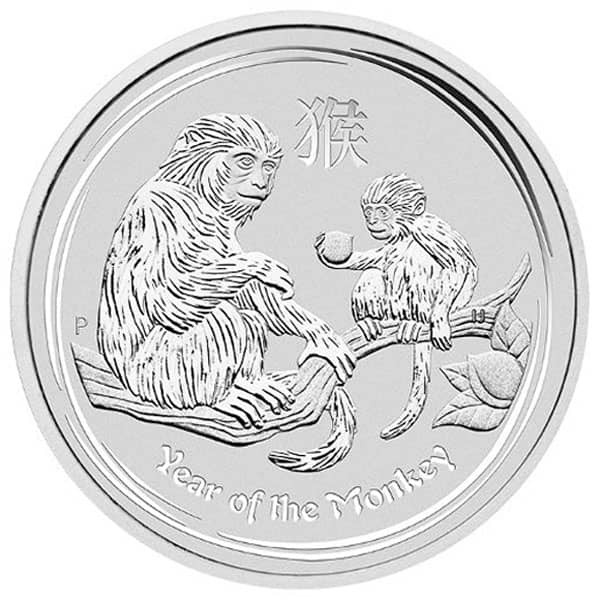 It really comes down to the preference on what you like because when you buy silver, they all offer a wide selection on protecting your money. Our current buy pricing is $483.87 each and we will buy up to 50 ounces at this price. Simply call us on any weekday to lock pricing at 1-800-800-1865. 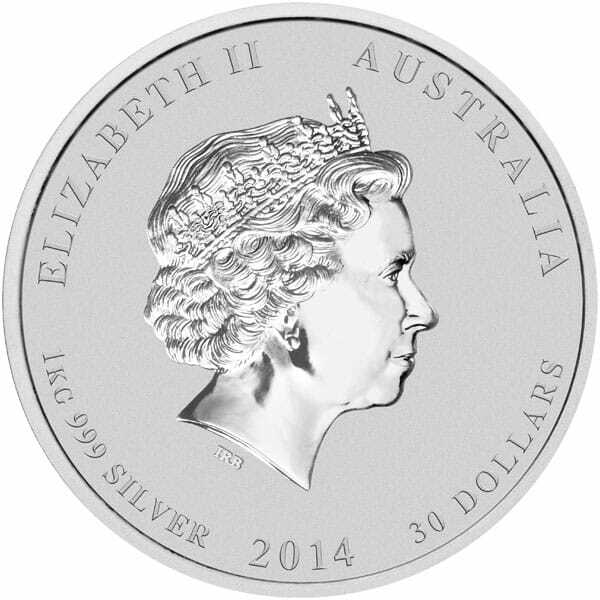 You can now sell your Australian 1 Kilo Silver Coins (32.151 Oz) back to us online, at a price of $483.87 each!